Paolo Vandini 'Stu Lace' Men's 1960s Mod pinstripe dress shoes in wine with Retro burnished detailing, particularly evident at the toe. The archetypal pinstripe with micro dot etching adding a distinctive textured finish to the upper. 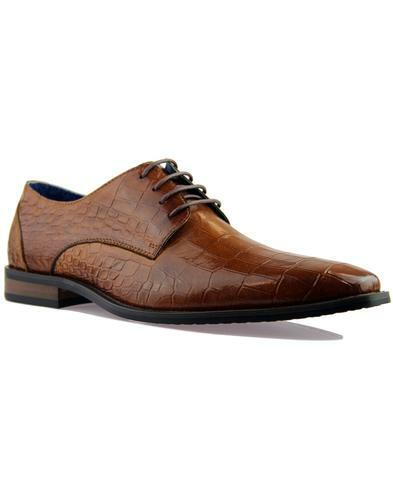 Classic Derby shoe silhouette with slightly squared off toe ensuring a smart and sophisticated Mod look. Paolo Vandini 'Stu Lace' Men's Retro pinstripe shoes are a unique take on the traditional formal dress shoe, sure to compliment your classic Mod attire. 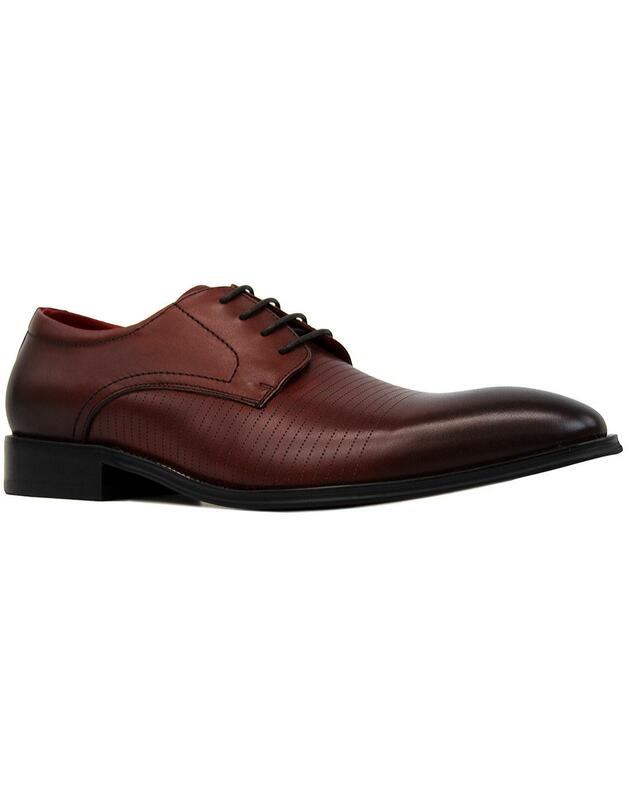 - Paolo Vandini 'Stu Lace' men's 60s mod pinstripe shoes in wine. - Etched pinstripe detailing to the upper. 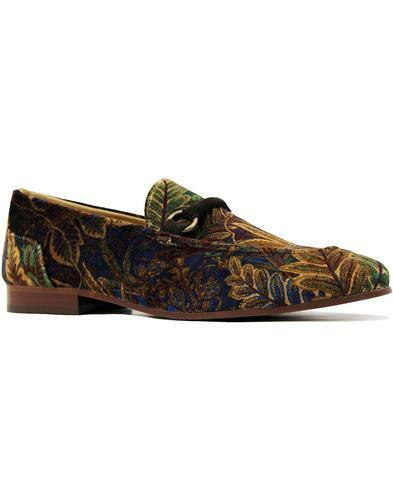 - Retro burnished slightly squared off toe. - 4 eyelet Derby lace fastening. - Contrast interior trim with ornate psychedelic floral paisley trim. 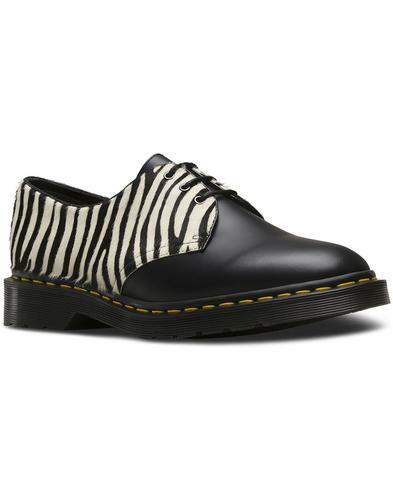 - SKU: Stu Lace Etched Pinstripe Shoes. Composition: Upper: Wax cow leather. Interior: Leather and textile. Sole: Other.